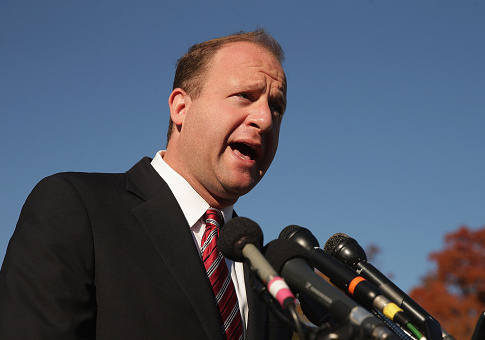 Jared Polis, one of the 10 richest members of Congress and the Democratic nominee for governor of Colorado, saw his wealth double during his 10-year run in the House of Representatives according to one benchmark estimation, and the congressman had the ability to actively manage the vast majority of his wealth in that time despite boasting about creating a blind trust "to avoid even the appearance of impropriety." The congressman's net worth hovered around $140 to $170 million dollars between 2007 to 2010, according to an analysis of financial disclosures by the Center for Responsive Politics. By 2014, his wealth spiked to about $387 million. Those figures are only an estimate, however, as congressional disclosure forms only require the elected official to list an asset within specified ranges of value. However, because the CRP is a clearinghouse for all kinds of public information on members of Congress, which includes parsing and estimating financial data from disclosures, and because their methodology is applied consistently, their estimates are often used as a baseline standard by politicians, candidates, and journalists. Disclosures from the earliest years after Polis took office created controversy in 2012 when conservative political author Peter Schweizer published a book that included a section critical of some of Polis's health care investments, given that the congressman ultimately voted "yes" for the Affordable Care Act despite initially casting a "no" vote in committee when the bill was in its earliest forms. Polis co-founded the private company BridgeHealth Medical in Colorado, which in its early days was a pioneer in what's known as "medical tourism," whereby patients—with the help of a company like BridgeHealth—could find lower surgery costs in places such as India or Costa Rica. In other words, Polis was betting that there would be more, not less, medical tourism after the passage of health care reform. Companies in the medical tourism industry generally agreed, and favored Obamacare. They did not believe the bill would actually contain costs, and if anything, they expected overseas medical procedures to become more attractive. Medical Tourism magazine featured an article after the passage of the bill entitled, "Medical Tourism Expands as Alternative to Obama- care." As the article put it, "Interest in medical tourism has expanded rapidly as Americans react to the new federal law." As the controversy developed, two D.C.-based ethics watchdogs were also critical of the investments. Polis has fired back after an excerpt of Schweizer's book was published in the Denver Post. "The fact is I have not purchased stock in any publicly traded company since entering Congress," he wrote in a rebuttal op-ed. "[Schweizer's] assertions are blatantly and verifiably false. Additionally, when I was first elected in 2008, I decided to set up a blind trust to avoid even the appearance of impropriety, a step few members take and that is not required." A summary of the 2015 disclosures shows Polis listing assets for a blind trust in the range of $25 to $50 million. However, based on estimates from the Center for Responsive Politics, Polis had at least four other assets listed in the same monetary range, making it a reasonable estimate that his blind trust only represented between 10 and 30 percent of his overall wealth. And his investments in BridgeHealth, which have continued well into 2015, have never been in the blind trust. The Washington Free Beacon asked Polis and his campaign if restricting his investments to strictly private companies, which BridgeHealth is, presented a more ethical option than investing in public companies. No comment was provided to that question and several others. The Boulder-based congressman emphasized in 2012 that his investments into BridgeHealth were loans. "I have loaned this business money virtually every quarter since its founding in order to sustain its operations and to avoid layoffs," the congressman wrote. "I am not otherwise involved in this company as either an employee or board member." Many of the BridgeHealth transactions documented by Polis in his disclosures list them as "Convertible Notes Receivable." "A convertible note is an investment vehicle often used by seed investors investing in startups who wish to delay establishing a valuation for that startup until a later round of funding or milestone," according to FundersClub.com. "Convertible notes are structured as loans with the intention of converting to equity. The outstanding balance of the loan is automatically converted to equity at a specific milestone, often at the valuation of a later funding round. In order to compensate the angel investor for the additional risk of investing in the earlier round, convertible notes will sometimes have additional clauses, such as caps, and or discounts." According to 2015 disclosures—the last year for which CRP aggregated, estimated, and sorted all of the financial information for the congressman—Polis had an equity position in BridgeHealth somewhere between $5 and $25 million, and he had "note/note receivable" positions in the company for the same asset range. Polis built his wealth at an early age through entrepreneurial endeavors, most of them technology related, and has used his wealth to self-finance most of his political ambitions. He is currently sponsoring a bill that would reverse the tax cuts from the 2017 bill passed mainly by the GOP in party-line votes. He's also well known in Colorado as one of the so-called "Gang of Four"—four multi-millionaires who donated heavily to create a Democrat-based advocacy structure of non-profits and media organizations that remained outside of the reach of the party itself. It's generally accepted that the results of the "blueprint" by the Gang of Four showed enormous success between the years 2004 and 2006, when Democrats began taking back majorities in the state general assembly and winning back the governor's chair. After those successes, Democrats at both the national and state levels began duplicating many of the strategies Polis and the others had invented and deployed. This entry was posted in Politics and tagged Colorado, Health Care, Jared Polis, Obamacare. Bookmark the permalink.